We are very pleased to announce that our Routledge Education January Author of the Month is John Hattie! John Hattie is the author of numerous bestselling books based upon his research into Visible Learning. 10 Mindframes for Visible Leaning is his most recently published book. How is it different from other Visible Learning books? What do you hope teachers and trainees will take away from this book? Read our exclusive interview with John below to find out! 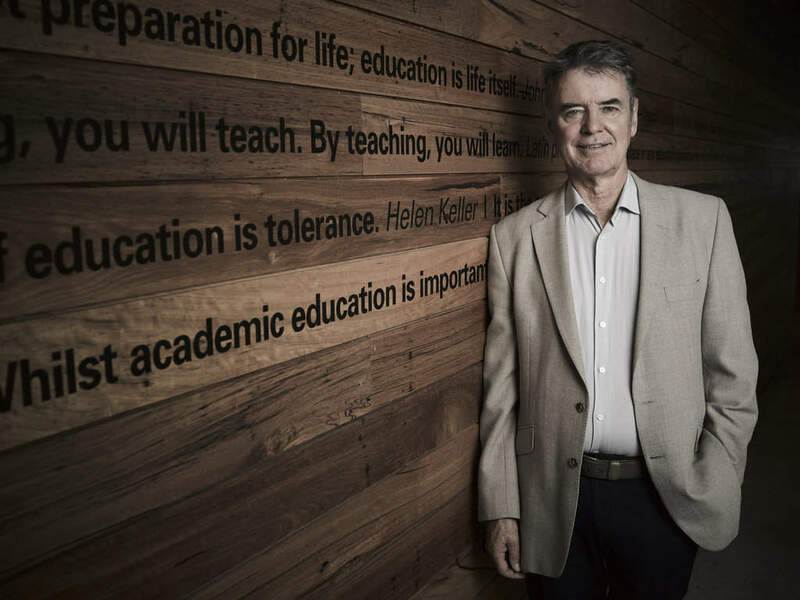 John Hattie is Laureate Professor at the University of Melbourne, and Chair of the Australian Institute of Teaching and School Leaders. His areas of interest are measurement models and their applications to educational problems, and models of teaching and learning. He has published and presented over 1000 papers, and supervised 198 theses students, and 26 books – including 10 on Visible Learning. After analyzing all the meta-analyses about the major influences on student achievement, the common threads relate to how educators “think” about their work. It is less the choice of activities, the nature of curricula, the resources available, the nature of students, the role of families but the overwhelming power of educator’s thinking in particular ways. This book focuses on the ten most important ways of thinking. It is when teachers walk into classrooms, principals walk into staff-rooms, system leaders walk into policy meetings – and say “my role here today is to evaluate my impact” on the learning lives of students – and thence all good things follow. That is the major message of this book. How is it different from other Visible Learning books? This book is different in that the entire focus is on the major underlying themes; it is less on the data, on the interpretation of the data, but on the major meaning underlying and linking together all the evidence from the others books. We have spent many years distilling these ten major mind frames, and yes they overlap a lot and have common themes – about educators knowing and evaluating their impact. It demand that there are robust discussions about the collective meaning of “impact” within and between schools, seeking evidence for the high expectations about this impact, and understanding where each student starts, sharing the desired success criteria with students, and working together to help students strive to reduce the gap between where each starts and the desired success. And then smelling the roses of this success to then move onwards to more challenging goals. What do you hope teachers and trainees will take away from this book? We would hope the main take away is to focus on the big picture. Yes, you need to have classroom management of high trust where errors are welcomed as opportunities to learn; yes you need enticing and engaging activities; yes, you need to understand curriculum and value productive and powerful knowledge; yes, you need to be concerned with deeper understanding and transfer of this learning to new situations – but the major influence on student learning is your expectations about what success means; your understanding of where each student is on the progression from their starting point to the shared criteria of success; and your teaching your students to become their own teachers. We want educators to not merely be reflective on how they see themselves in classrooms, but to see themselves from the perspectives of their students – how do students see themselves as learners, how do they experience your teaching, and how do they know they are growing in their learning in your class. Are there any key messages you’d like to highlight? It is about how you think in the moment by moment interactions with students. Students soon pick up how you think, our expectations of them, whether you will give feedback that supports them to move forward, whether there is high trust to explore ideas in your classroom, what you think a ‘good learner” is, and whether there is joy in learning in your classroom. The two most common attributes of great teachers are those who want you to share their passion for their subject and/or those who see something in you that you may not have seen in yourself. What single thing would you change to improve educational outcomes in our schools? That the profession, policy makers and the community esteem and privilege the incredible expertise of educators to impact on the learning lives of students. 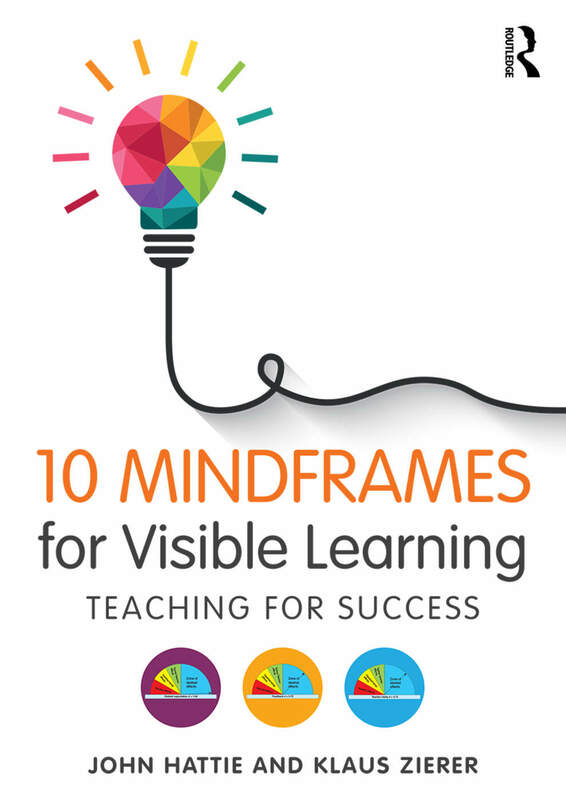 Take a look at 10 Mindframes for Visible Learning here! Are you interested in Visible Learning?